The high-performance polymer Pekkton® ivory is a solution for a definitive aesthetic restoration on implants. 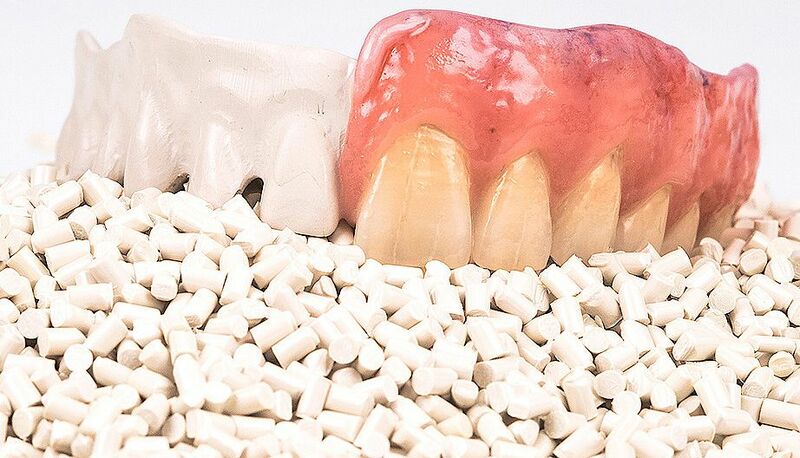 Resembling human bone, Pekkton® ivory convinces with simple biomechanical integration in the mouth. Owing to the low weight of the denture and its ability to absorb loads, patients benefit from completely new wearing comfort. The PEKK material used for Pekkton® ivory originates from the PAEK materials family and offers excellent mechanical properties. The high-performance polymer has established itself as a popular material for frameworks in prosthetics, in particular for superstructures. The material can be milled and pressed. The high-performance polymer Pekkton® ivory is available exclusively from Cendres+Métaux and was voted "game changing product of the year" by the American magazine "Inside Dental Technology (IDT)" in 2016 and 2018.